Shot over the course of three years and featuring some of our nation’s top educational experts (Richard Kahlenberg, The Century Foundation; J.B. Schramm, College Summit; Dr. Bill Tierney, University of Southern California), the film explores the problem of college access faced by first generation and low-income students and how their success has major implications for the future of our nation. First Generation was directed and produced by Adam and Jaye Fenderson and made possible in part by Lumina Foundation for Education and GOAL 2025 whose mission is to increase the percentage of Americans with high quality degrees and credentials to 60% by 2025. The film was an official selection at film festivals across North America and had its world premiere at the Heartland Film Festival where it was nominated for a Crystal Heart Award. It won “Best Documentary” and “Best Soundtrack” at the Idyllwild International Festival of Cinema, and a “Special Jury Award for Social Impact” at the Napa Valley Film Festival. First Generation has been embraced far and wide as a tool to spark the conversation about what it takes to increase the college-going and success rate for low-income and first generation students. 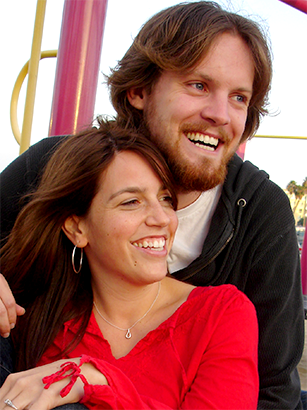 Adam and Jaye are a husband and wife filmmaking team dedicated to telling stories that inspire audiences through their production company Three Frame Media. With over a decade of film and television experience, Adam’s editing credits span acclaimed shows for NBC, MTV, Lifetime, Discovery, ABC Family, E!, CNBC, Spike, and many other networks. Adam earned his BA in Film and Television at The University of Southern California. A former senior admissions officer at Columbia University, Jaye is the author of Seventeen’s Guide To Getting Into College and the co-creator and producer of ABC’s The Scholar. Jaye has published numerous articles on college admission for Seventeen, Good Housekeeping and The College Access & Opportunity Guide. She received her Bachelor of Arts in English and French from Columbia University. Adam and Jaye live in Santa Monica where they love going to movies, rooting for the SF Giants, and chasing after their two boys. Born in Bakersfield, California, Cecilia is a first generation US citizen. The daughter of migrant field workers, she lives with 9 family members in a small house in the town of Oildale. She attends North High School where she runs track and cross-country, and she challenges herself in the classroom by taking multiple Honors and AP classes. She dreams of going to a four year university and then continuing on to law school, but despite her good grades and school involvement, the road to college is much harder than she expected. 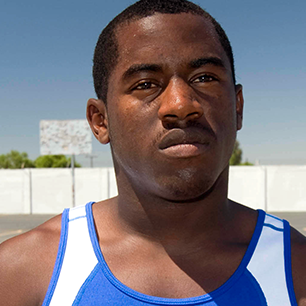 An ex-drug-dealer and gang-member, Dontay lives in Inglewood but takes 3 busses and 2 trains to Jordan High School in Watts to play for their highly ranked football program. As one of the fastest lineman in the nation, Dontay has hopes of impressing the scouts and earning a football scholarship. Since his stint in juvenile detention, Dontay has realized the importance of education and hopes to attend a historically black college, but he faces an uphill battle as he works hard to improve his grades while balancing football and his responsibilities at home. Hailing from four generations of Lake Isabella natives, Jess lives with her mother and they work together at her grandmother’s restaurant, Cheryl’s Diner. She attends Kern Valley High School where she maintains a 3.8 GPA, is vice-president of student council, and also does stats for football and girl’s softball. While Jess struggles to balance the stress of her many responsibilities, she has always been able to rely on the support of her mom and her boyfriend Ethan. With a heart for helping others, Jess would like to earn a college degree in nursing but struggles with the fear of leaving her small town and family behind. Keresoma or “Soma” comes from a close-knit Samoan family where faith is highly valued. He and 9 family members live in an apartment in south Los Angeles. 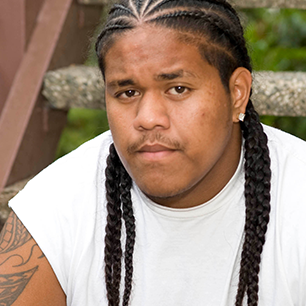 He attends Paramount High School where he is a 2-sport athlete and president of the Pacific Islanders Club. Fun-loving and charismatic, Soma often walks around campus playing the ukulele and teaching his teammates the traditional Haka warrior dance. Motivated to improve his family’s financial situation, Soma hopes to go to college and study engineering but the college admission and financial aid process is more complicated than he realized. To follow these students’ journeys, watch the film and download the Screening Guide.